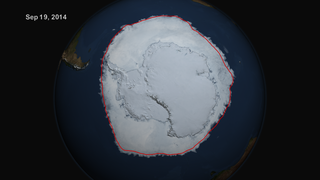 This movie begins at the 2016 Antarctic maximum on August 31, 2016 and shows daily sea ice concentration until the Antarctic minimum on March 3, 2017. The 2017 minimum had only 2.1 million square kilometers of sea ice extent below the previous lowest minimum extext in the satellite record that occurred in 1997. This year’s record low annual sea ice minimum of 2.11 million square kilometers was below the previous lowest minimum extent in the satellite record, which occurred in 1997. Antarctic sea ice saw an early maximum extent in 2016, followed by a very rapid loss of ice starting in early September. 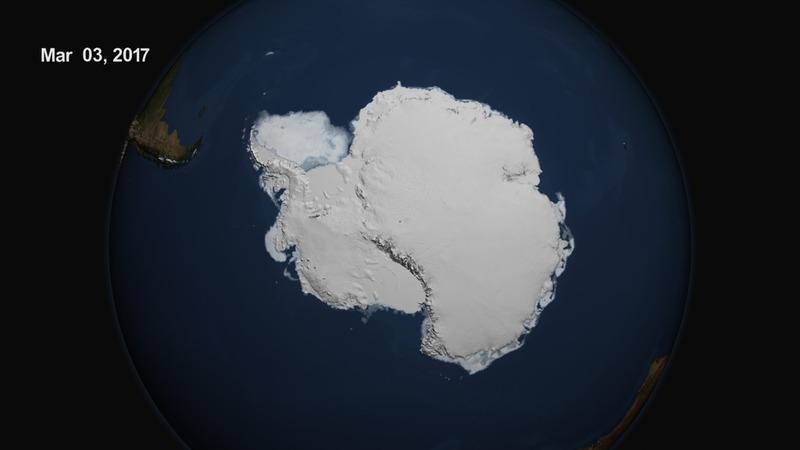 Since November, daily Antarctic sea ice extent has continuously been at its lowest levels in the satellite record. The ice loss slowed down in February. The images shown here portray the sea ice as it was observed by the AMSR2 instrument onboard the Japanese Shizuku satellite. The opacity of the sea ice is derived from the AMSR2 sea ice concentration. The blueish white color of the sea ice is derived from the AMSR2 89 GHz brightness temperature. In some of the images. 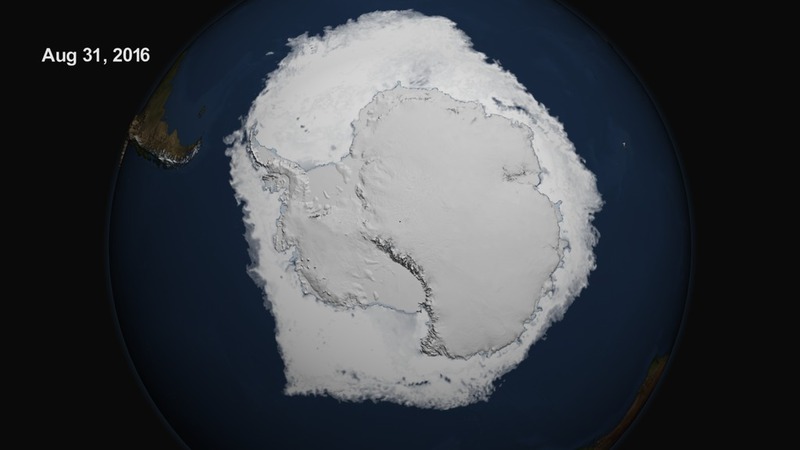 The Landsat Image Mosaic of Antarctica is shown over the continent. This is the image from the 2016 Antarctic sea ice maximum on August 31, 2016.